Over the past 7+ weeks that I’ve been engrossed in my marathon training, I have noticed great improvements in my running. When I first started this training, my average mile times were 12:30 and UP. 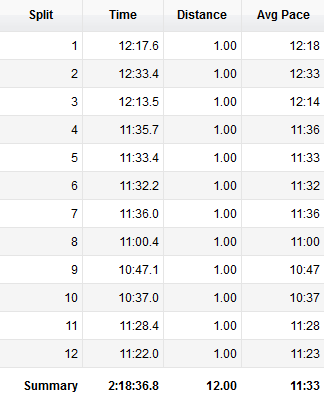 I know that there were a couple or even a few runs where I was running over 13 minutes and super close to 14 minutes. 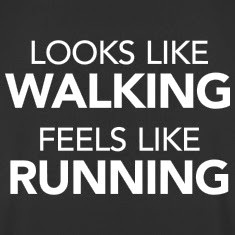 That’s basically just speedwalking. Over the last almost 2 months now, I’ve noticed I feel stronger on more and more of my runs. 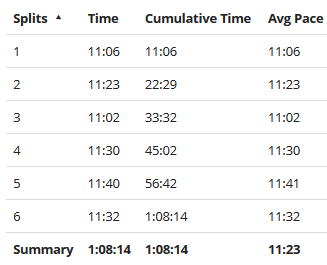 My average pace on my runs has been slowly getting faster and faster. My average mile pace is now in the low 11 minute range. That is AWESOME! I’ve shaved off a minute to a minute and a half off my mile time…IN LESS THAN 2 MONTHS!!! I’m really hoping that by this time next month, I’ll have my average mile pace down in the mid 10 minute range. 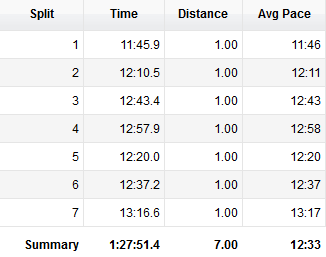 Here’s some stats from my first week of marathon training and the second is from the last week. When I’m running at my new, faster average pace, I’m not feeling like I’m pushing myself all that much. I mean, sure, in the later miles of the run I’m pushing myself to maintain the pace, but the first like 4 or so miles are pretty much effortless. And then, some days are just awesome for me and the entire run feels completely effortless and no pushing of myself is needed. I love those days. Don’t get me wrong, I love every single run I do…I mean it. Each and every one of them. I may feel unmotivated to get out of bed and get going, but once I’m running, I’m in my own version of heaven. Even when the going is a little rough and I have to push myself, I still love it. And now for a little Friend Making Monday action (not on Monday…haha…par for the course with me). 1. If you had to be allergic to something, what would it be? 2. If you sat next to Jesus on a bus, what would you talk about? I would ask him, “what did you REALLY tell your disciples and apostles?” and go from there. 3. If money and time were no object, what would you be doing right now? Well, for starters, I’d be retired because I’d obviously have enough money to not work. as far as what I would be doing with my time, I’d be traveling the world! 4. If you had one day to live over again, what day would that be? I can’t really think of a day that I have already lived through that I would want to live over again, so I’m going to delve into my future and say I that the day I move into a house I bought would be a day I would want to live over again. 5. If you could eat your favorite food right now, what would it be? Bacon macaroni and cheese…with extra cheese! 6. If you could learn any skill, what would it be? I would love to be able to do sign language fluently, I know some basics but wish I knew more. When I was in high school, I started taking some free once weekly evening classes, but I missed a class and then just stopped going. 7. If you were sent to live on a space station for three months, and could only take three personal items, what would they be? 8. If you could buy a car right no (money no object) what would it be? 9. What's your favorite cartoon character and why? Believe it or not, this was a hard question for me to answer. But, I’m going to have to go with Dori from Finding Nemo…because she never gives up and is always positive…she forgets the negative and she tries new things and surprisingly, they work (ie-talking to the whale). 10. Does your name have a special meaning or were you named after someone special? Sara means 'Princess' but apart from that no special reason for me being called Sara…well, and my parents thought it was pretty. They were going to name me Mena, but changed their minds at the last minute. Honestly, I wish they had gone with Mena.